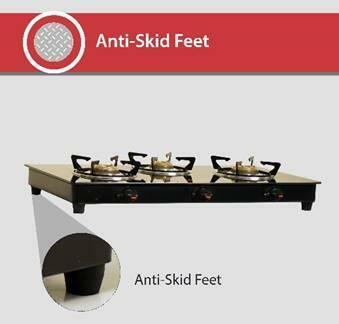 Cook a wide variety of dishes with the Sunflame GT Pride 2 burner gas stove and experience its high quality manufacturing and finish that sets it apart from the rest. 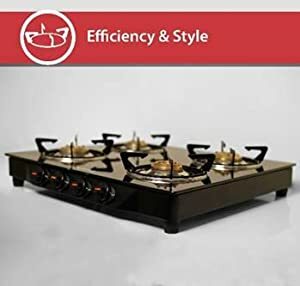 Featuring two high efficiency brass burners with ideal dimensions of 85 mm by 85 mm, this gas stove is perfect for bachelors and small families who want to cook more than one food item at a time. These efficient brass burners not only consume less LPG than other types of burners but are also extremely durable and can withstand heavy use. Try the latest recipe, cook vegetables, curries, rice, rotis and a large number of dishes using this efficient gas stove. With a brushed matte finish stainless steel base at the bottom and toughened glass on top, the Sunflame GT Pride gas stove is built to last for a long time, even with regular use. The pan supports on the burner are Euro-coated to prevent the colour from chipping off while the drip trays are made from stainless steel with the ability to withstand high temperatures on a daily basis. 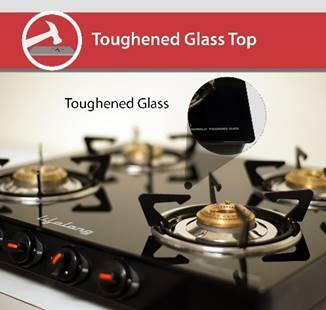 The toughened glass is heat and break resistant and scratch proof, making it easy to clean and maintain. Featuring a unique look with black toughened glass and an elegant design, the Sunflame GT Pride 2 burner gas stove is the perfect tool to give your kitchen a modern look and feel. 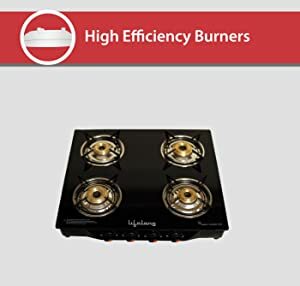 Furthermore, the burner knobs feature a futuristic design while the brass burners sport a metallic golden finish for the perfect contrast with the black body of the stove. Combining aesthetics with functionality, these burners are placed well apart from each other to facilitate the use of larger utensils while cooking. Prestige brings to you an elegant glass top gas stove with three burners and a toughened glass top that is ideal for mid-sized families. 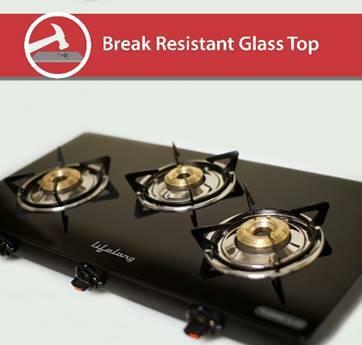 The knobs on the Prestige Marvel Glass-Top Gas Tables are designed ergonomically for easy operation. Place three utensils or vessels on this stove and accelerate your cooking time.The Prestige Marvel glass-top gas table is a manually operated gas top with three burners with a toughened glass top. 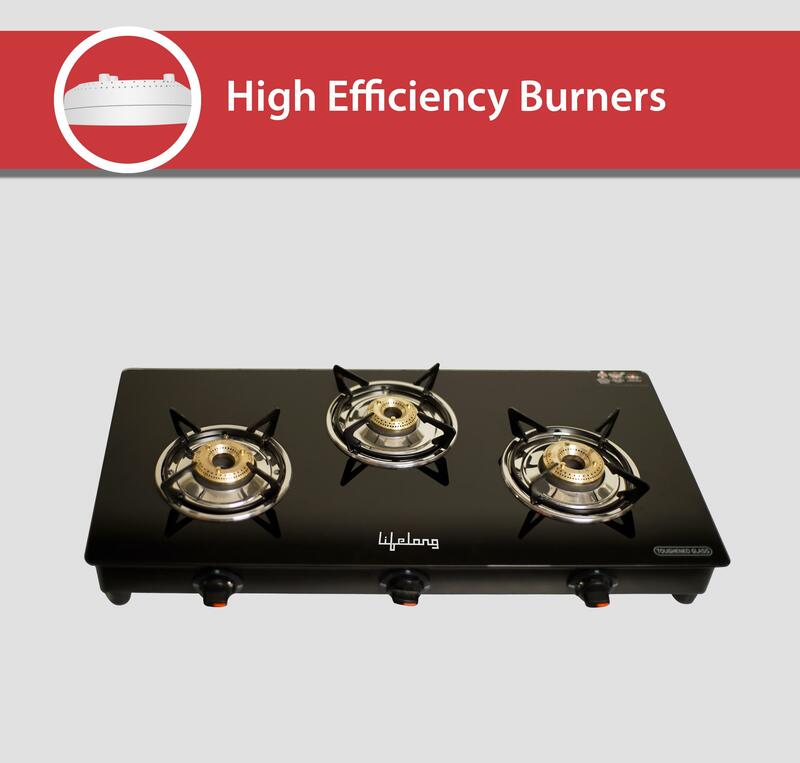 This makes the stove elegant and stylish while performing its regular function. As a part of contemporary and modern kitchen décor, this gas stove adds aesthetic value to your home. The knobs function smoothly and are designed to be super stylish to complement the gas top.